!!! IMPORTANT: WE ARE DOING MAJOR SERVER MAINTENANCE DURING THIS UPDATE. SERVERS WILL BE DOWN FOR AT LEAST 2-3 HOURS, BUT IT CAN BE A LOT MORE IF THINGS OCCUR. PLEASE KEEP THIS IN MIND. THANKS FOR UNDERSTANDING !!! !!! สำคัญ: เรากำลังบำรุงรักษาเซิร์ฟเวอร์หลักในระหว่างการอัปเดตนี้ เซิร์ฟเวอร์จะลงอย่างน้อยสองชั่วโมง แต่อาจมีมากขึ้นหากสิ่งที่ต้องการ โปรดเก็บไว้ในใจ ขอบคุณสำหรับการทำความเข้าใจ !!! It's patch time once again! On this patch, we have fixed quite a lot of bugs and crashes, while also improving the car system in general. We are also bringing in new content and features to the game that have been asked for some time. We are still working on fixing issues regarding FAC 2.0, please read more information in the patch notes regarding this. Overall this patch should fix a lot of issues and overall boost performance and FPS. Also this is something we will keep working on in future patches. Updated the English Language. Added and fixed some translations. Updated the German Language. Added and fixed some translations. Updated the Russian Language. Added and fixed some translations. Players now have the global chat tab selected by default. Added a health bar to the super zombies and other "big zombies" to show how much health they have. (Same health bar that is on shields) You can enable and disable this health bar by pressing f9. Added hud-icons on screen for mission targets. This is just like group icons and locker icons. This icon will be located where ever your mission stage is located. For example: Mission: go to Sleepy Crest; you will see an icon in sleepy crest in your in-game UI so it's easier to know where to go. Skinboxes in the marketplace that have "hidden" content no longer show the "show content" button. This to prevent confusion. The reason we are not showing content for a skinbox is because it has either too many items inside so it could crash the client or because of an event. Fixed a bug causing the launcher to not properly white-list the game on the firewall for some users. Note that you can always add an exception to your firewall from the launcher by clicking on the top right "settings" icon and click "add exception". Fixed a bug where clan points would not always register shots to them (to start an attack). We are still looking for ways to make this system more interesting so let us know if you have any feedback. Being in your clan territory grants a shield of 10% that regenerates 1% each second if damage is not taken for 10 seconds. Leaving the clan territory intermediately revokes the shield. We will see where this goes so let us know if you have any feedback! Fixed a lot of issues caused by playing in Full-Screen. Switching from and to full-screen no longer requires a game restart, unless you have SLI / CROSSFIRE enabled. You can now switch between full-screen and windowed by pressing CTRL + ALT + ENTER. Improved hit registration to punish players abusing a high ping. This is a very important improvement and we'd like to invite players to keep reporting to us when things like this happen so we can keep improving this. Fixed an issue related to the mission system where the progress would not load back into the UI when re-logging. Fixed an error related to the RV vehicle missing some animation data. Fixed an error related to the Tuk Tuk vehicle missing some animation data. Fixed an error related to the Sheriff Dragster vehicle missing some animation data. Fixed an error related to the Police Dragster vehicle missing some animation data. Fixed and finalized the new "Walter" character. This character is a brand new (male) character and will be released soon. Fixed and finalized the new "Steve" character. This character is a a brand new (male) character and will be released soon. Fixed an issue related to the Sheriff Dragster vehicle. Players no longer glitch inside the car when exiting. Fixed an issue related to the Sheriff Dragster vehicle. Fixed the exit positions. You now exit the car on the left side of the vehicle when you are the driver. The passenger now exits on the right side. Also moved the exit positions a bit further away from the vehicle. Fixed an issue with the closed version of the train container model. Players were glitching inside this model a lot. We have now opened up the container so that players can go inside either way. 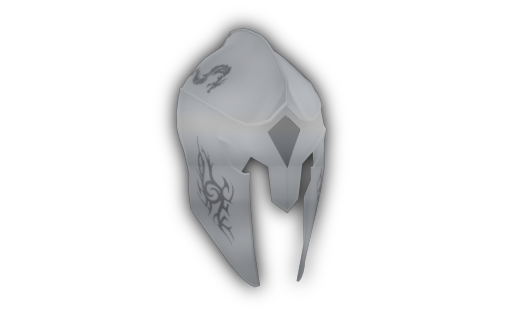 Please note that this item might be used for events, so it might not be released instantly with this patch. 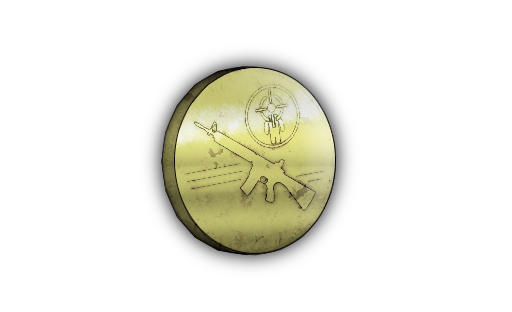 Added a new coin to the game: Specialist Coin. This coin will be used related to something with Open World contracts. More information under the Open World contracts section of these patch notes. Please note that you can find more information under the separate game mode updates part of these patch notes to see where / how this item will be released. Added a new case to the game: Specialist Weapon Case. 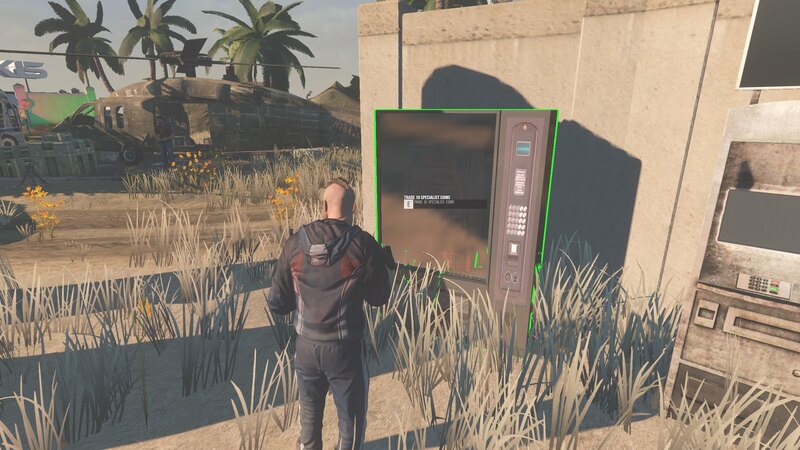 This case will be used related to something with Open World contracts. More information under the Open World contracts section of these patch notes. Added a new limited skinbox: Nemesis Limited Skinbox. This skinbox will be the start of the "limited" skinbox series in New Z. 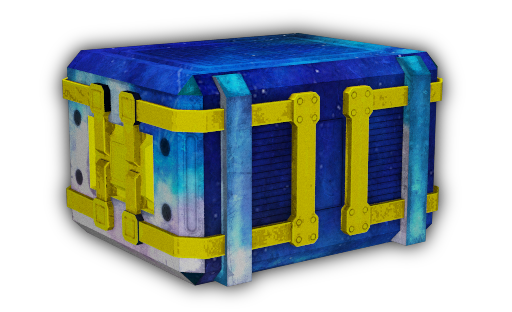 Next to adding new skinboxes with sets, for example; the gold skinbox, we also want to offer more variety to players. These limited skinboxes will probably have a mix of already released skins and perhaps some new ones. The fun about this is that these kind of boxes will have random content, and will only be available for X amount of time ever. 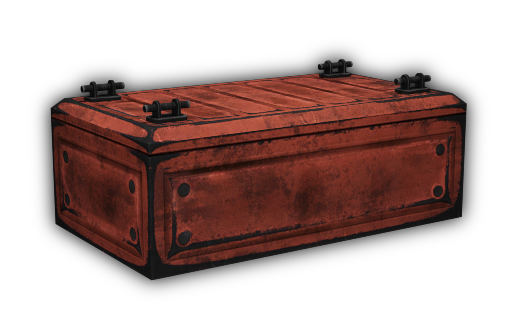 We will probably start by adding this box for 2 weeks (probably, not sure yet) and after that it will be removed from the marketplace and never be available to players ever again. Of course people who bought these, will keep them. Enjoy! Added a new sniper: XMR-32. Added a new type of ammo (for the XMR-32). 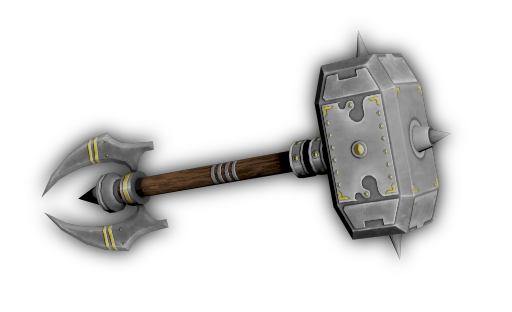 Added a new type of melee: Stick Club of Disaster. 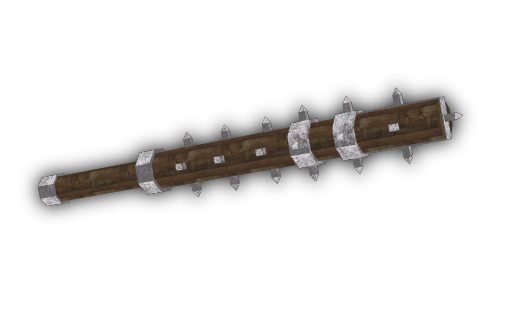 This "Stick Club of Disaster" will be part of a mission in the Survival game-mode. 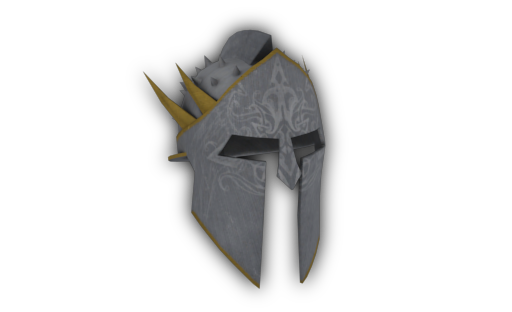 Added a new hat: Spiked Gladiator Helmet. Added a new hat: Gladiator Helmet. Added a skin for the Stick Club of Disaster melee: Stick Club of Commander. This skin is a reward for the Commander missions in Colorado V2 in the Survival game-mode. Added a skin for the AK-15: AK-15 Specialist. Note that this skin recipe is part of the Specialist Open World contracts. Added a skin for the MP7: MP7 Specialist. Note that this skin recipe is part of the Specialist Open World contracts. Added a skin for the Jericho: Jericho Specialist. Note that this skin recipe is part of the Specialist Open World contracts. Added a skin for the B92: B92 Specialist. Note that this skin recipe is part of the Specialist Open World contracts. Added a skin for the FN57: FN57 Specialist. Note that this skin recipe is part of the Specialist Open World contracts. Added a skin for the Kruger Rifle: Kruger Rifle Specialist. Note that this skin recipe is part of the Specialist Open World contracts. Added a skin for the Kruger Mini: Kruger Mini Specialist. Note that this skin recipe is part of the Specialist Open World contracts. Added a skin for the Kruger Mini: Kruger .22 Specialist. Note that this skin recipe is part of the Specialist Open World contracts. Added a skin for the Veresk: Veresk Specialist. Note that this skin recipe is part of the Specialist Open World contracts. Added a skin for the UZI: UZI Specialist. Note that this skin recipe is part of the Specialist Open World contracts. Added a skin for the EVO-3: EVO-3 Specialist. Note that this skin recipe is part of the Specialist Open World contracts. Added a skin for the G36: G36 Specialist. Note that this skin recipe is part of the Specialist Open World contracts. 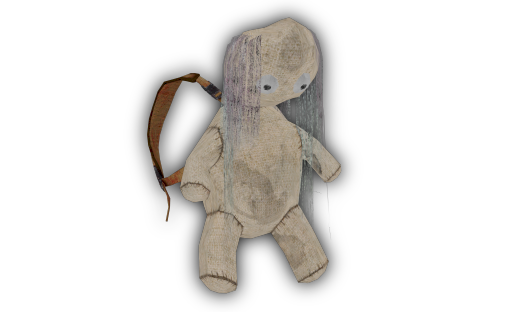 Added a skin for the Small Backpack: Small Backpack Scary Doll. This skin will be released during the Halloween week events. Stay tuned for more information about this. Added a new spray: Be Swag! Updated the health of the Anti-Vehicle barricade from 400 to 1000. This so it would serve it's purpose better. Updated the weight of the Gamescom 2018 cap. Lowered the weight. Updated the weight of the Turtle Hat. Lowered the weight. Updated the Heavy Armor Black Night texture. Updated the textures of the Riot Shield Thailand. Updated the textures of the Riot Shield Singapore. Updated the quality and the texture of the gold skins. Any further feedback here is welcome. 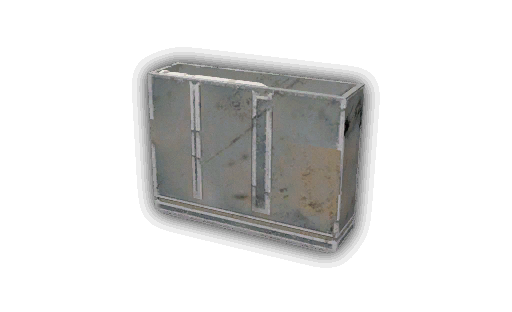 Updated the Spray Box (unreleased) texture and store icon. Also resized the model. Should be ready for release now. The mosin can now attach sniper barrel attachments instead of assault rifle barrel attachments. 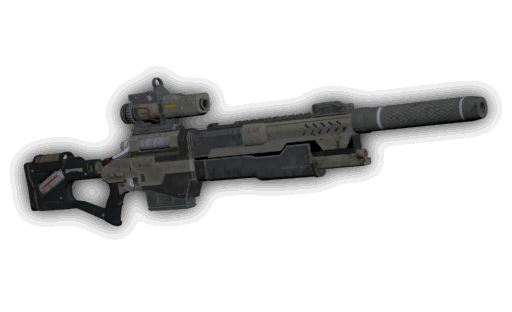 (In battle royale for example the sniper silencer will have a bit more use now). We have also done this because the mosin is and feels more like a sniper than an assault rifle. The Famas Rustic now has it's own skinned iron sight. The Famas Tiger now has it's own skinned iron sight. The Famas Black Night now has it's own skinned iron sight. Fixed some skin recipe descriptions where the description was saying the wrong weapon name. Fixed an issue related to the MP7 Banana Kong where the normal unskinned weapon would sometimes use the skinned texture. The FN57 (20) Magazine is now spawning. Now also available in Survival. Contract boxes are now available in Survival. Note: This is a different separate contract box just for Survival with Survival contracts only. This means there is now 2 different contract boxes; one for Open World and one for Survival. 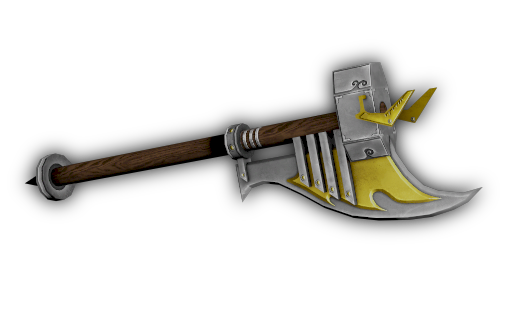 You can now craft the "Stick Club of Disaster" using Stick Club Wood, Stick Club Rings and Stick Club Pins. These items are only obtainable from the "Commander" survival missions. Added a new mission: Commander I. Added a new mission: Commander II. Added a new mission: Commander III. Added a new mission: Commander IV. Note: Finishing these missions allow you to get the special Stick Club of Disaster melee and upon finish of the "Commander IV" mission you'll receive the Stick Club Commander skin for this melee as well! The contract box has been added to the daily login reward table. Players now have a chance of getting a free contract box from the daily login reward system. Added a new contract called: "Sweeth Tooth I". Added a new contract called: "Sweeth Tooth II". Added a new contract called: "Sweeth Tooth III". Fixed the item contract name of the "Zombie Slayer I" contract. All new contracts are always find-able in-game and obtainable by opening a "Contract Box". Are you up for a challenge? PVE or PVP player it doesn't matter! We now have "Specialist Contracts". Pay some attention to allow us to explain how this is going to work! Specialist contracts have been added to Open World (as you can see above). These so called "Specialist" contracts always require a player to kill 50 other players with a certain weapon. Please note that contracts don't count in PVP servers. When finishing a specialist contract players will always receive 2 things: a specialist skin recipe for that weapon the contract was for + a specialist coin. Players can do 1 of the same contract as many times as they want. In an example; Let's say you have 2 "Kruger Rifle Specialist" contracts. You sign one (so it starts), you start killing players with the kruger rifle and when you hit 50 kills you will get a skin recipe and a specialist coin. The contract you signed is gone, but you still have 1 "Kruger Rifle Specialist" contract left. You will be able to sign this one, and start again, as many times as you want. Now, you might be wondering; "The skin recipe is nice, but what can I do with the Specialist Coin?". Let us explain. We expect players to start "farming" Specialist Coins. Players can't do anything with the coins other than that they can exchange 10 for a "Specialist Case". They can do this in the trading lounge by activating the (infinite repeatable) "Specialist Exchange" mission. They'll have to go to the Specialist vending machine and when pressing "E" on this object, they will exchange their 10 coins for 1 case. Added a new specialist contract called: "AK-15 Specialist Contract". Added a new specialist contract called: "MP7 Specialist Contract". Added a new specialist contract called: "Jericho Specialist Contract". Added a new specialist contract called: "B92 Specialist Contract". Added a new specialist contract called: "FN57 Specialist Contract". Added a new specialist contract called: "Kruger Rifle Specialist Contract". Added a new specialist contract called: "Kruger Mini Specialist Contract". Added a new specialist contract called: "Kruger .22 Specialist Contract". Added a new specialist contract called: "Veresk Specialist Contract". Added a new specialist contract called: "UZI Specialist Contract". Added a new specialist contract called: "EVO-3 Specialist Contract". Added a new specialist contract called: "G36 Specialist Contract". Reduced the music range from the villa for over 60%. We understand this music can be annoying when you don't want to hear it. You only hear the music now when you get close to the party villa. Updated the banana mission. Now added to the text that it's a banana melee that players have to insert into the shoe. Hopefully it's more clear now what to do. Updated this pvp map (in the PVP servers section) to the latest version of the lounge. Updated the "Travel to Emerald Peak" mission. Made the mission area more accurate. Updated the lighting back to normal Colorado after a lot of feedback from the community. Optimized the lighting quality related to glowing objects. You can no longer do group damage in Battle Royale. This means that you can't do damage to players who are in group with you with an exception for when you are in the lobby. In the lobby you can still do damage to people in your group. Fred will fix this text later. Solo queue: can only be done when you are not in a party and will put you in a server with only other solo players only. Alone: you are not in a party with anyone, queue up, and once you find a game you will group up with 2 or 3 other people. 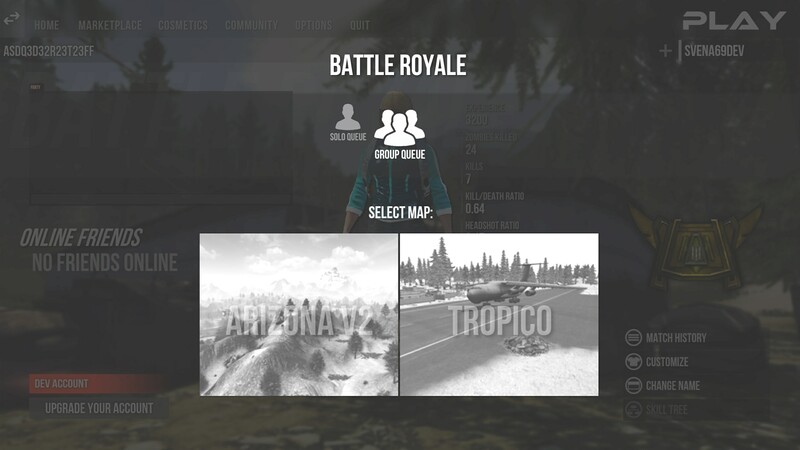 The game will assign a group for you and you're able to play a battle royale in a group. Important to know is that Battle Royale maps now have a dynamic group size. We control which maps are solo, and which maps have a group limit of 2 or 3. This means that when you are alone and group queue-ing, you will get matched up in a group with 2 or 3 other people depending on the group size of that map at that moment. Besides anything you are able to group up in a solo queue or a group queue and you will also be able to choose what map you're queuing up for. We expect there will be some smaller issues with this new system so please help us and report back to us with feedback so that we can keep improving the system! We have now added missions to our Battle Royale game mode. 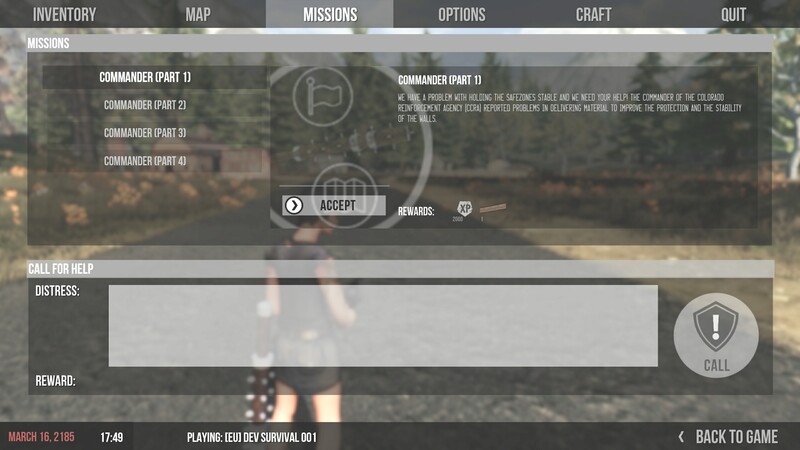 We think this is quite a unique addition to the game-mode as there is not really any games out there that have a mission system inside an actual Battle Royale game. These missions are small and aimed to help players. For example: if a player has a bad spawn, he can still "gear-up" and get loot by doing some side missions. Added a new mission: Melee I. In this mission players have to kill 5 zombies and receive 1x Tactical Knife. Added a new mission: Melee II. In this mission players have to kill 20 zombies and receive 1x machete. Added a new mission: Helping Hand. In this mission players have to kill 2 players and receive 1x antibiotics and 2x painkillers. Added a new mission: Battle Royale Master. 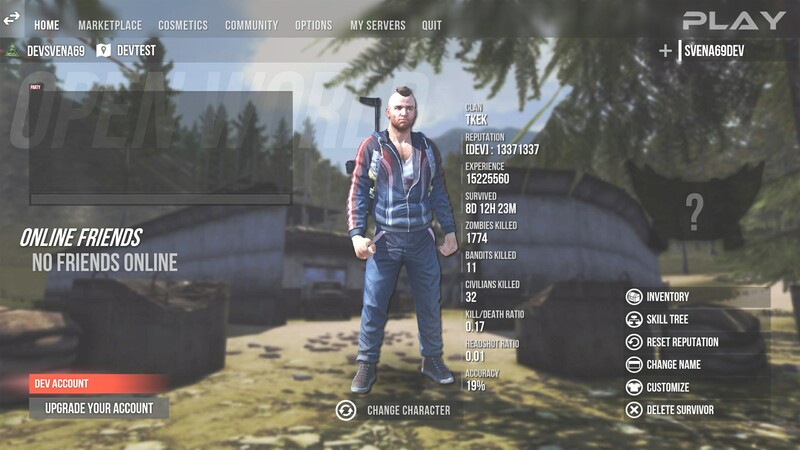 In this mission players have to kill 10 players and receive 1x Custom Guerilla, 1x SVD and 2x Antibiotics. Reduced the sniper silencers spawn rate. Patch ETA: Roll out around 10:00 AM (CEST), September 26 2018. Estimated downtime: 2-3 hours minimum. We'll keep you updated through Twitter. See you all tomorrow morning? Enjoy the patch notes! Good patch i hope that. A lot of interesting changes, I like it. sorry but we playing something like world of warcraft ? or something like diablo ? can you add aim bot weapon and dead laser when you just shot you kill the whole server and can you add the whole thailand Z items !!!! pls i will be so happy and can you rename the game to INFESTATION THAILAND i do it already on my desktop !!! i want to see the game after 2 weeks Hype !!! What about competitive... You should really think about it. Imi tar HIGH Is planned for this patch or ? Why do you always contradict yourself? Amazing patch!!! Super excited for this one! Cant wait to try out the new sniper! This is absolute HYPE! Thank you for all the work put into delivering additional content, bug fixes, and helping to give more back for our enjoyment! It's nice to see the devs putting out new content.